Our unique and delicious State Fair® Mini Donut does not require a deep fat fryer. 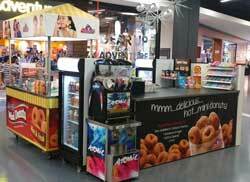 We developed a patent pending process to deliver hot and fresh mini donuts, in an easy and simple manner, without the mess and safety hazards a deep fat fryer can create. 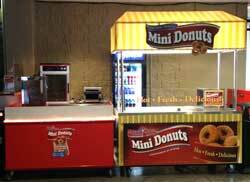 We created a way to bring our Mini Donuts to concessions where frying is either impractical or impossible. 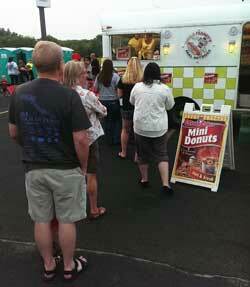 State Fair® Mini Donuts can liven up any concession area. 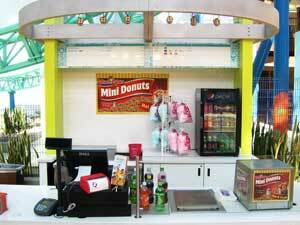 Mini donuts are one of the only concession items people will order morning, noon or night. 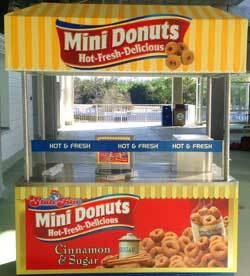 State Fair® Mini Donuts are tasty treats that will keep your customers coming back for more! 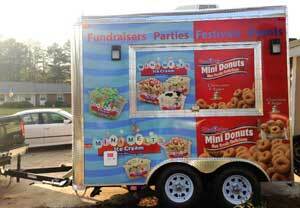 Sell up to 1200 mini donuts per hour! State Fair® Mini Donuts can be found at a variety of locations, including Water Parks, Zoo’s, Family Fun Centers, Rental Companies, Ice Hockey Rinks, Movie Theatres, Corn Mazes, Pumpkin Patches, Individual Concessionaires and more. We are adding new locations all the time. If you don’t see one close to you, talk to the manager at your favorite concession area and ask for State Fair® Mini Donuts by name! 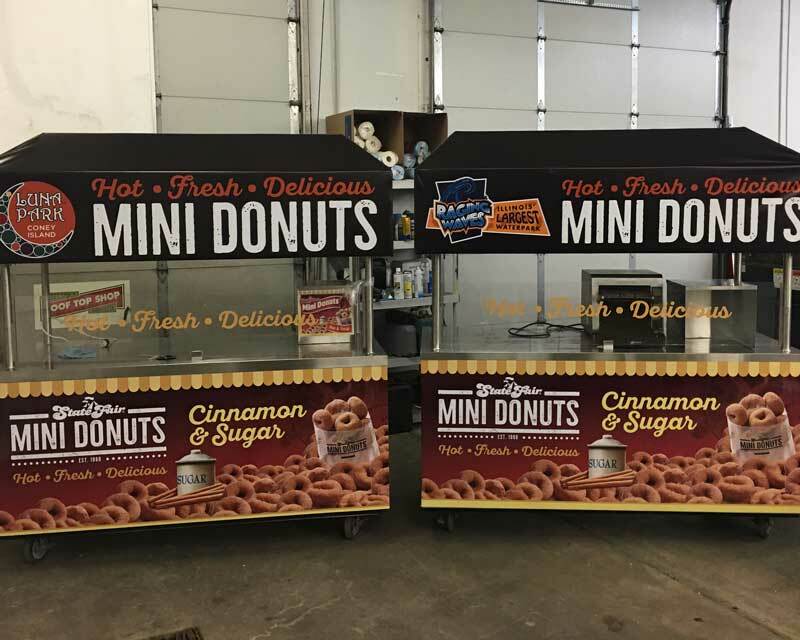 We added State Fair Mini Donuts this last season at Andes Tower Hills Ski Area in Kensington MN and they were a major hit! Not only were they quicker and easier than the fried ones from previous years they sold much better! Dan and his team were wonderful to work with easy ordering and billing not to mention it seems like anytime I needed anything or had a question I got an immediate response. Thanks for being so great at what you do guys! We are excited to work with you again next season. State Fair Mini Donuts are a unique and fun product that our guests look forward to enjoying during their visit to Nickelodeon Universe. The quality of the product and the speed of delivery to the guests makes it a perfect product for us to sell. 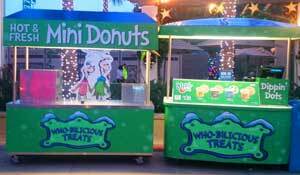 We are excited to offer the newest flavors that State Fair Mini Donuts has to offer. We opened the stand on Friday and Saturday night and sales were great! We had over 5,000+ in attendance last night. We set the stand right at the front entrance. I added some cabinets and created coffee stations. Season ticket holders complimented to my GM how this is a great addition to the arena, and most of all, they loved the donuts! Thanks again!! What a Hit!!! 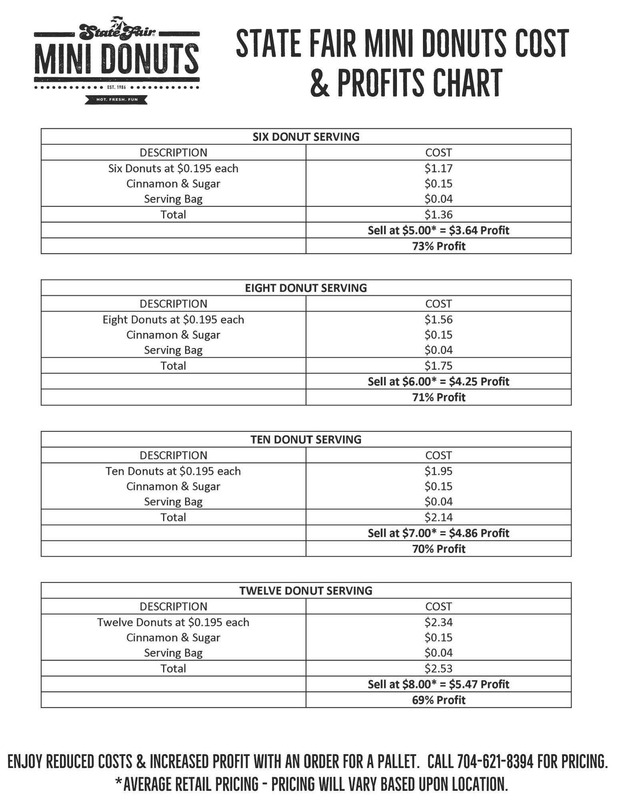 Just a quick thank you for the use of the mini donut machine last Friday. It was a huge hit… bigger than huge it was a COLOSSAL hit. One thing that I didn’t count on was the fact that once the machine was on the aroma wafted throughout the school. People couldn’t tell what that smell was but they knew it was something good. You should have seen their eyes light up when they came into the staff lounge looking for the normal cake donuts and bagels and found freshly made mini donuts.